Synopsis: Harry Potter returns to Hogwarts for his 2nd year, but a terrifying entity is attacking the students, causing chaos for the school and its teachers. Review: Given the immense popularity of these books before these movies were made, it was almost something of an inevitability that Warner Bros made quite a healthy profit on their investment to acquire the rights to these movies. The Philosopher’s Stone raked in close to a billion dollars against a budget of 125 million dollars, and set the scene for the next chapter in this franchise, and the magical world that the first film set up so beautifully is gratefully kept going in this instalment. With Steve Kloves again penning the script with Chris Columbus again taking on directing duties, it doesn’t take long before things at Hogwarts begin to go a bit awry. Dark, creepy sinister voices, writing on the wall in blood, students being petrified, giant terrifying looking spiders. This may have been a children’s book, but there are themes present in this movie that are certainly much more adult, and it isn’t afraid to go in dark places. There is a considerable shift in tone, an ominous presence is lurking in the shadows at Hogwarts, something the plucky trio of Harry Ron, and Hermione must put all of their skills and their plucky second year wit to the test to solve. Columbus once again delivers his great vision for this magical world and it is once again beautiful to watch Hogwarts brought to life. There are considerably more effects involved here, including the quite brilliant flying car vs the Hogwarts train sequence. The Quidditch is also a lot much more enjoyable to watch here. Having spent the first movie setting up this world and the characters, the main focus is on the story and the ensuing crisis that Hogwarts finds itself in in this particular school year. There are some slower moments in this chapter, but having introduced this world and all of its magical qualities, there is time to build and develop these, particularly the relationships between the central trio of Harry Ron and Hermione, who all remain excellent in their roles. In addition, Tom Felton who was perfect as the sneering bully Malfoy, somehow manages to make himself even more unlikable than in the first movie. Likewise, everyone who was present is also on stellar form, and a number of new additions who also made their mark on the franchise, namely the sinister father of Draco Malfoy, Lucius played by Jason Isaacs. Like his son, he’s a cold and unlikable presence, like father, like son. Replacing the late Quirrell in the Defence Against the Dark Arts Post is Gilderoy Lockhart, a bumbling idiot and a man who seems to be more interested in his fame and appeal to the ladies than his job as a teacher at Hogwarts. Last but by no means least is Dobby, a house elf who while at first seems incredibly grating and annoying, is ultimately a strong willed elf who wants to aid Harry in his quest, any way he can, even if some of his methods are somewhat perplexing. Chamber of Secrets doesn’t quite reach the heights of its predecessor, but it is still an entertaining ride in this brilliant magical world. Columbus deserves enormous credit for bringing together this remarkable universe to the big screen for its first two films, and for casting just about the perfect actors for every role. The film does lose some of the magic that the first film had in in abundance, but it remains a solid presence in the Harry Potter universe and ensures the spell of the franchise remains . 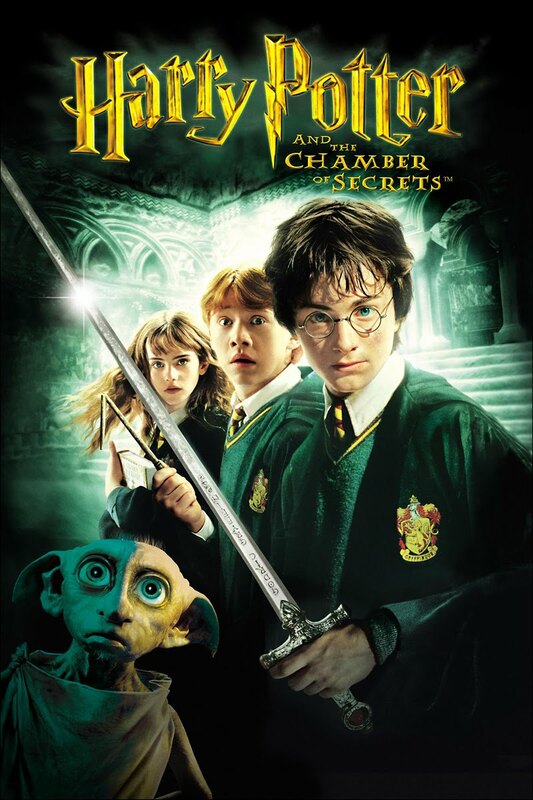 Despite boasting some cool moments and visuals with a darker tone than the first movie, Chamber of Secrets is not quite as enthralling as its predecessor, with some slow moments bogging it down.